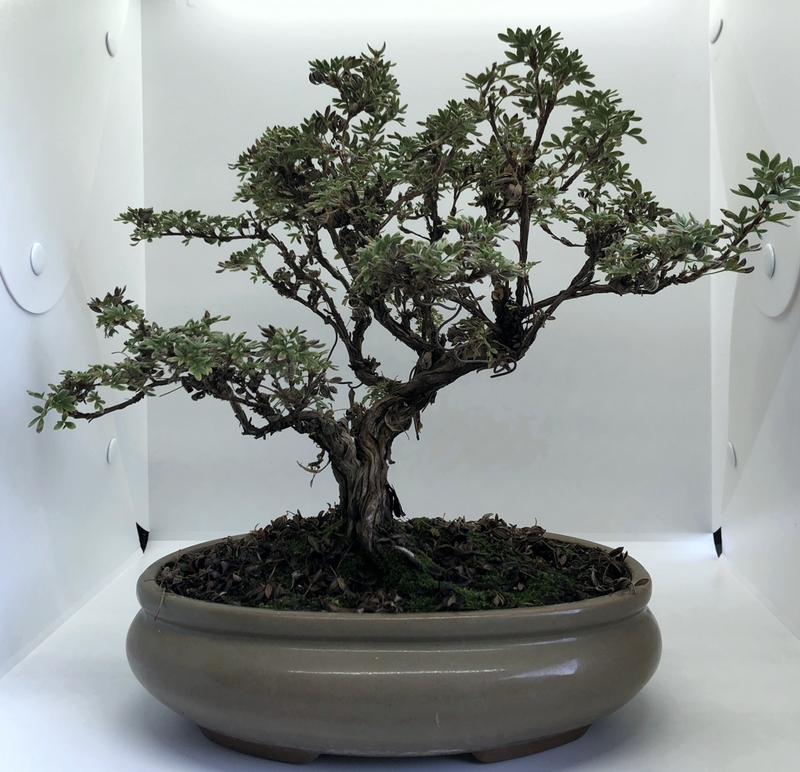 I recently ordered a new light studio to shoot bonsai trees in. It came with several colored backdrops but I wanted to shoot in white to discover any issues it would be present. 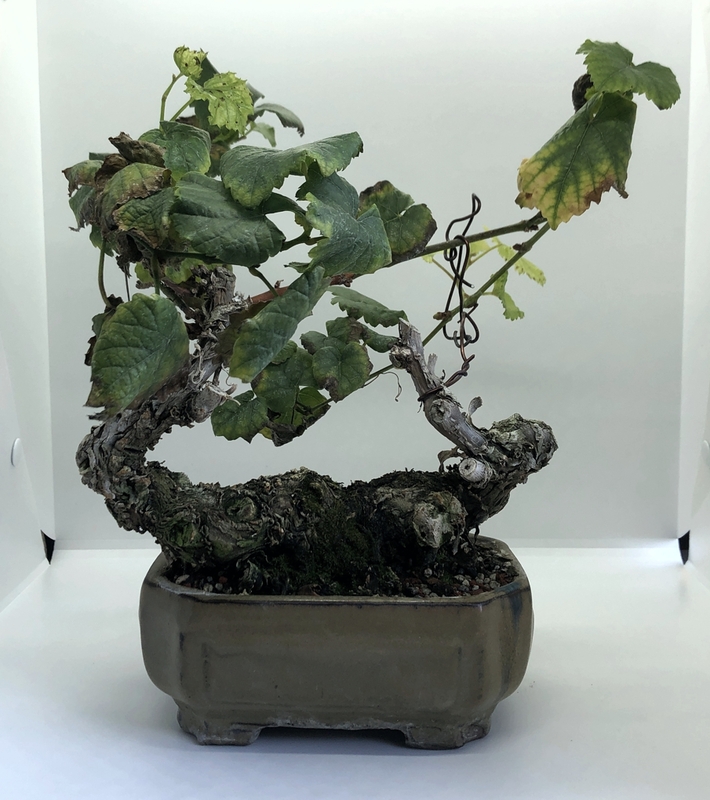 Sadly, what the vendor said was large and pictured in their advert is not really very large at all but it will give me an opportunity to shoot some fun glamour shots of shohin trees during the year. These images were take just today, so quite late in the season. 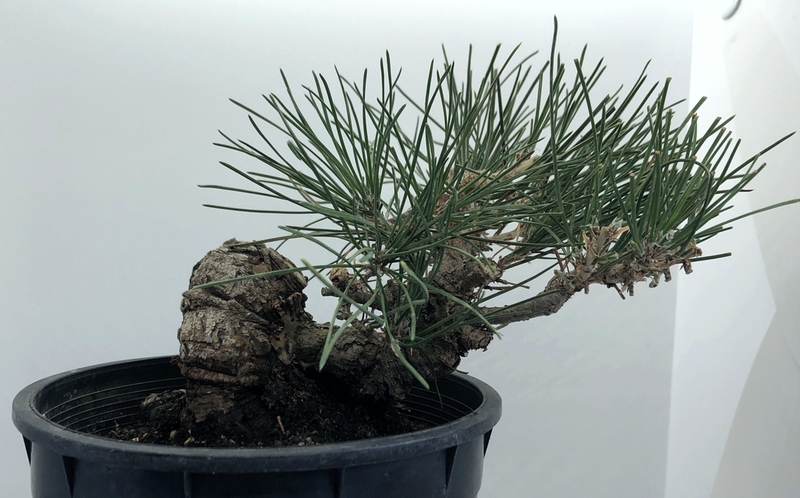 This is a new shohin pine project I will begin working on. I have cut back all the super large candles that were on it when purchased this month. Wiring it up next and I have a spectacular pot for this one. 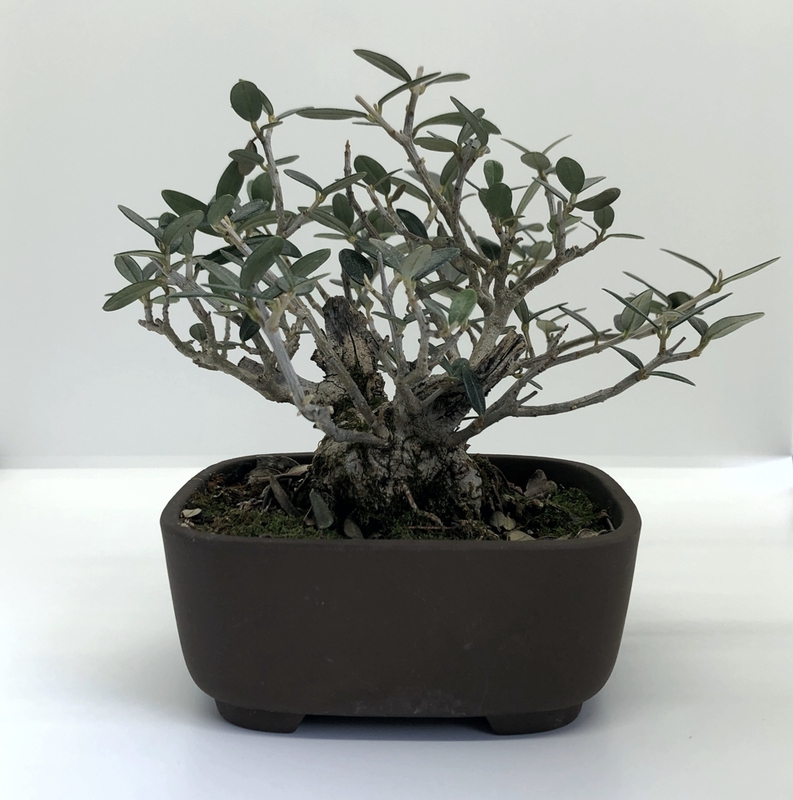 New little shohin olive clump. Thanks to Jane I for giving me this one. 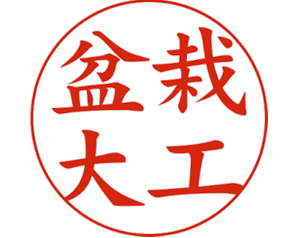 I will work to refine it next year. Potentilla developing nicely over the summer. Lots of refinement still needed. 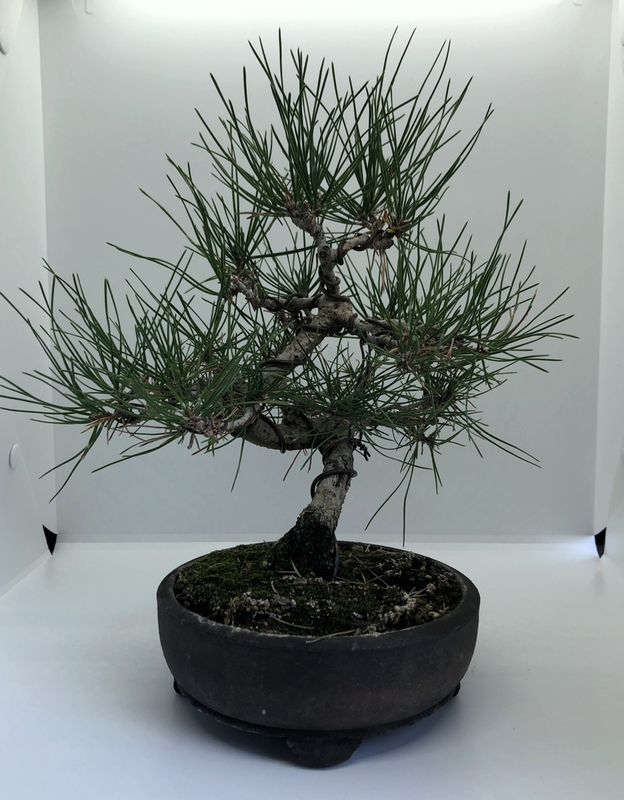 My little shohin black pine updated. Our little grape, originally purchased from REBS, a few years ago. It will get re-potted this Spring and really flourish. 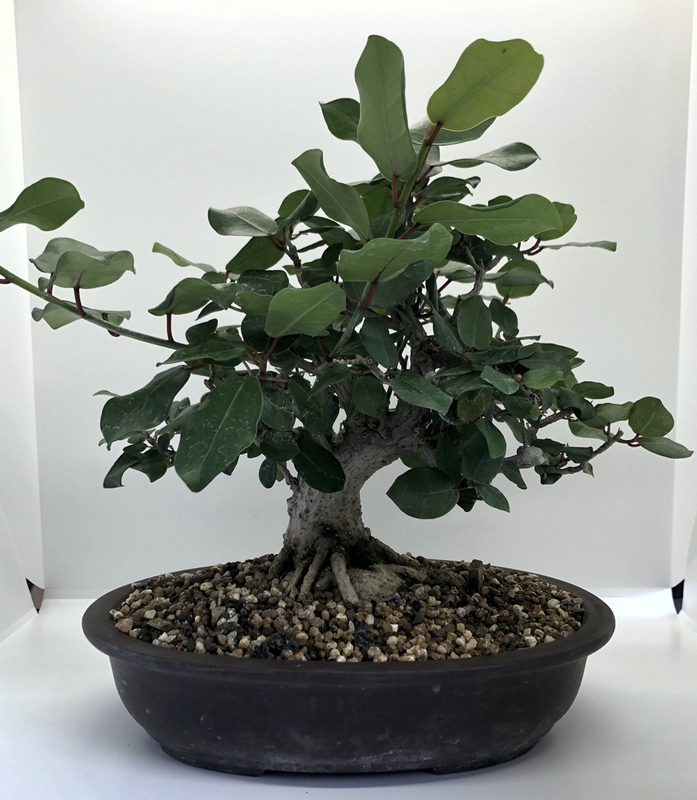 My ficus has grown aggressively since the summer cut back and re-potting. Going into winter this will continue to grow as I keep the soil temp above 40 degrees. It will be moving in and out of the house soon.